Afro-Americans - History - Juvenile literature. Afro-Americans - History - Study and teaching - Activity programs - Juvenile literature. What do all these people have in common: the first man to die fighting in the American Revolution, a onetime chief of the Crow Nation, the inventors of the banjo and peanut butter, and the first clockmaker in this country? They were all great African Americans. 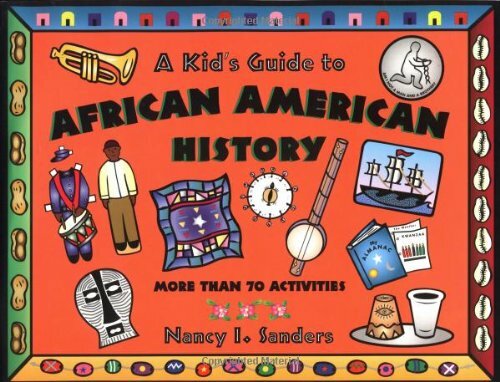 For parents and teachers interested in fostering cultural awareness among children of all races, this book includes more than 70 hands-on activities, songs, and games that teach kids about the people, experiences, and events that shaped African American history. Children will have fun designing an African mask, making a medallion like those worn by early abolitionists, playing the rhyming game "Juba," inventing Brer Rabbit riddles, and creating a unity cup for Kwanzaa. Along the way they will learn about inspiring African American artists, inventors, and heroes like Harriet Tubman, Benjamin Banneker, Rosa Parks, Langston Hughes, and Louis Armstrong, to name a few.